Wedding planning has changed a lot over the last 20 years. While the wedding cake is still around, there are many other things Brides need to keep in mind for their big day. All couples want to be trendy, but do you really want the same centerpieces as 20 of your friends? (Follow us on Pinterest) You may be one of those people who inspire others, only to ruin your big day. Secret bundles exist for this very reason. These wedding woes can be avoided! Your guest list is exclusive, this is as it should be. This doesn’t mean you want the buzz about your wedding being thrown in the face of those who didn’t make the cut. Besides, who wants to be messaged about where the uninvited persons’ invitation is? You should take a few moments and update your privacy settings. These wedding woes can be avoided, as well. With the explosion of special diets, you simply can’t avoid inviting one to your wedding. They will request special privileges every chance they can. Beware. These wedding woes will take thought when you add them to your wedding guest-list. You may not have intended to reject them, but you did. Now, you have to face this person during the entire weekend of the wedding. Do your best to avoid a confrontation. If they seek you out to talk about it, be polite and firm. Remember to keep a sense of humor about things to lighten the mood, if things start to go sour. What the bride looks like on her big day is supposed to be a surprise, people! Too many times a great photo opportunity has been ruined by someone with a phone trying to Instagram the first picture of the bride. They get in the way of the professional photographer. There isn’t a second chance for those wedding moments. Let the photographer do their job. 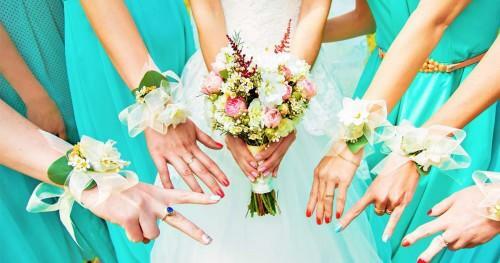 These wedding woes may not be averted, but you can try to keep a sense of humor about them. How on earth will you find that ultra-cute photo now?! #bummer These instances may be the ultimate wedding woes. After all, you want to gather up all those photos for your wedding site to share them with family and friends, as well as the whole world! You freeze when you try to make a decision about your wedding because you just know you will find something better the moment you make the choice. These wedding woes can haunt you all the way to the wedding. However, remember you made the best possible choice for you with the inspiration you had at the time. The most important thing to remember about wedding woes is that everyone has them. Keeping your sense of humor about them will make the wedding woes seem less troublesome.